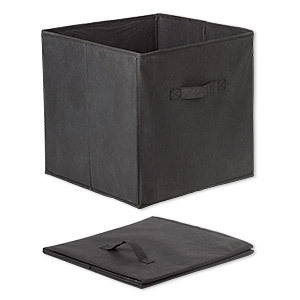 Storage box, non-woven polyester and cardboard, black, 13 x 13 x 13 inches assembled with one handle. Sold individually. 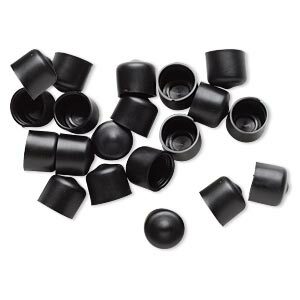 Vial cap, plastic, black, 17.8x15.8mm. Sold per pkg of 20. 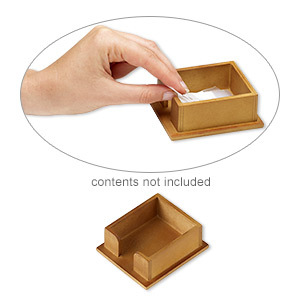 Organizer, stained wood, 1-1/2 x 3-1/4 x 3-3/4 inch rectangle. Sold individually. 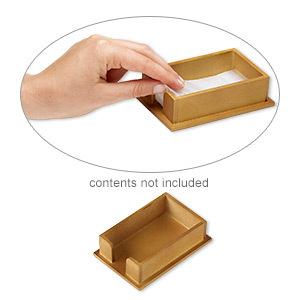 Organizer, stained wood, 1-1/2 x 3-1/4 x 4-3/4 inch rectangle. Sold individually. 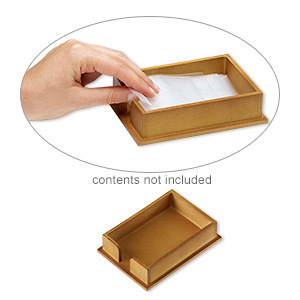 Organizer, stained wood, 1-1/2 x 4 x 5-3/4 inch rectangle. Sold individually. 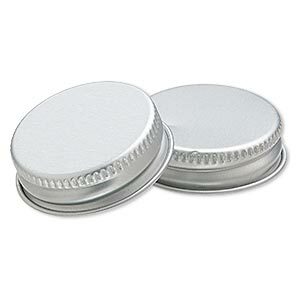 Replacement lid, aluminum and polyethylene, white, 35x11mm. Sold per pkg of 2. Minimum 2 per order.